Washington, D.C., is the location of the national capital of the United States of America. It is situated in the mid-Atlantic region of the U.S. East Coast. 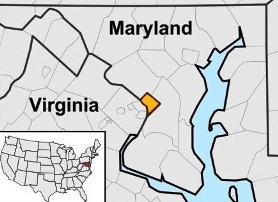 Washington DC is located between the states of Maryland and Virginia, as shown in the map below. 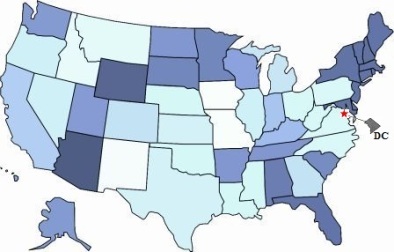 What state is Washington DC in? Washington DC is not a state. It is a small district or region of land that currently covers under 70 square miles. 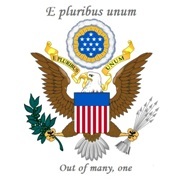 Under the U.S. Constitution, Washington DC is under the exclusive jurisdiction of the United States Congress. Washington DC is not to be confused with State of Washington, that is 2800 miles away on the West coast of the United States and covers 71,000 sq. miles! Washington DC was chosen by George Washington to become the capital of the United States of America after victory in the the American War of Independence (1775–1783). The location of the capital was a political decision and chosen to placate both the Northern and the Southern states of the new nation. The people in the South were concerned that the North would have too much influence if the capital was placed in a city in the north. A compromise was reached when the new federal government agreed to pay off the war debt accrued by the Northern states in return for locating the capital between the states of Maryland and Virginia, in the south. Washington DC was chosen as the site of the national capital of America by George Washington (February 22, 1732 – December 14, 1799). 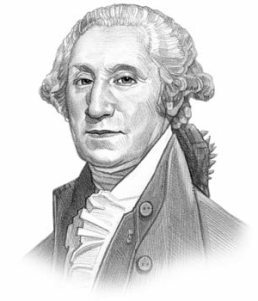 Washington selected a 10 square mile area of land from property in Maryland and Virginia that lay on both sides of the Potomac River. Washington DC was a purpose built design. The plans of Pierre L'Enfant specified locations for the "Congress house" (the Capitol) and the "President's house", which would later become the White House. The location of the city was on a ridge parallel to the Potomac River and included a series of canals. L'Enfant's plans for the city included a mile long "grand avenue", which would later become the National Mall. A narrower avenue (Pennsylvania Avenue) eventually became the "grand avenue" but was originally planned in order to connect the Congress house with the President's house. The federal district was named Columbia. Who was Columbia? Columbia was a quasi-mythical name used for the USA at the time of the American Revolution. The name Columbia is a feminine form of "Columbus". Columbia was visualized as a goddess-like female wearing classical Greco-Roman clothing which was decorated with the stars and stripes. The classical theme was also reflected in the design and architecture of the city. The capital was officially named "Washington" on September 9, 1791, however due to embarrassment the President never referred to it as such. He preferred to call it "the Federal City". We hope that the above facts on the Washington DC will prove helpful to kids, school children and schools.